There will be 2 software folders called "VAG-K_CAN_Commander" and "VWTOOL". We will be using "VWTOOL"
1. From the disc, copy the folder "VWTOOL" onto your desktop. Use 7zip or your file extraction software and unzip the compressed folder. 2. After extracting the folder, navigate into the folder and find the setup file called "Setup"
3. The setup window will prompt you to install the software to C:\VWTOOL. Press Continue and finish the installation. 5. 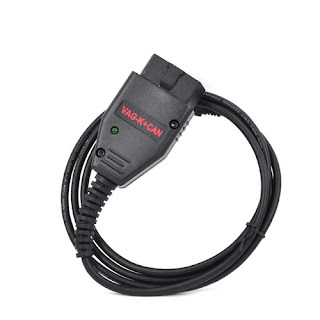 Plug the VAG 1.4 interface's USB cable into your USB port. Windows will automatically detect the USB device and automatically install the correct drivers. This may take a few minutes. 6. From your device manager, we'll setup the port settings. The VWTOOL software only allows you to use Port 1-4, so we're going to make sure the interface is configured to one of those ports. Go to Control Panel> System > Hardware > Device Manager > Ports (COM & LPT), find the "USB Serial Port" go to the "Port Settings" tab, then click "Advanced". Change the Port to any port from 1 -4. We'll use Port 1 for this guide. Set the Latency Timer (msec) to 1.Press OK and OK to exit. 7. Go to your C:\VWTOOL folder, then click on "CONFIGVW", select the Serial Port you selected from the device manager, select your preference for Display Units and click Accept.